Oded has worked in leasing, property management, and multi-family investments for two years with YMP Real Estate. He holds an MBA from University of Miami with an International Business Concentration. He is an asset for international buyers and investors. previously played as a semi-professional baseball player for the Atlanta Braves Instructional league. Sabrina is an experienced real estate investor. She has manifested revenue generating opportunities and flipped numerous properties. Her biggest project Barnett purchased and renovated a run down North Beach hotel. The transformation blossomed into a charming little bungalow style suite hotel.The property quickly became a sold out artistic haven. Christine is an accomplished sales professional at the Polaroid Corp,T.J Caiton and Boise Cascade She is involved in various community programs such as PTSA Volunteers, and Miami Beach Rowing Club- Junior volunteers She enjoys spinning and cycling on her free time. 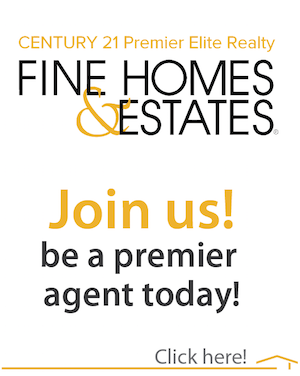 Miriam joins the Century 21 Premier Elite Team to bring her marketing expertise to the Real Estate World. This Ex Miss Venezuela International, Author, TV Personality and Artist is a firm believer that everything happens for a reason and that reason serves us! Bilingual Sales Associate with a focus on Residential Real Estate in South Florida. Extremely motivated and goal-oriented with a passion on helping South Florida’s residents purchase their dream home or acquire their business venture. When you are looking to offer or buy real estate, a realtor is always the smart approach to do it. In the field, you will find many agents, from the beginners to the ones with years of experience. The difference between the agents is always efficiency and fast results that overcomes the expectations.